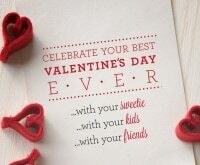 Valentine’s Day is all about treating the ones that you love — which generally extends well beyond your sweetheart. 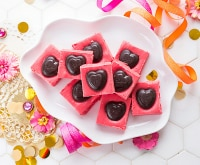 This year, take a cue from Cupid and shower all of your loved ones — family, friends, and partners — with a sweet token of your affection. 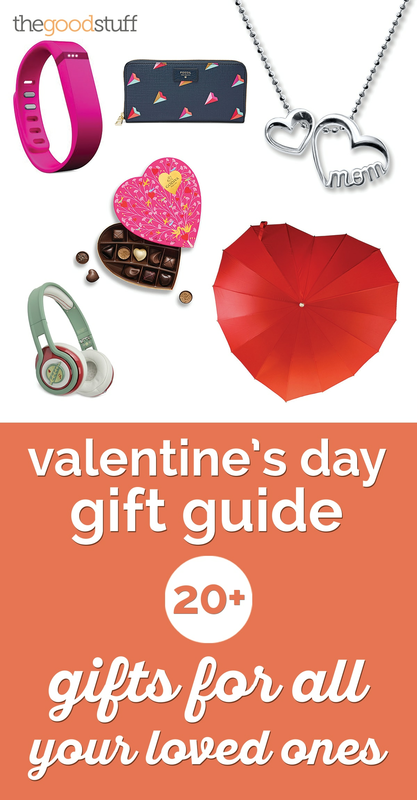 Check out our Valentine’s Day gift guide, including more than 20 great gift ideas for all your loved ones, below! 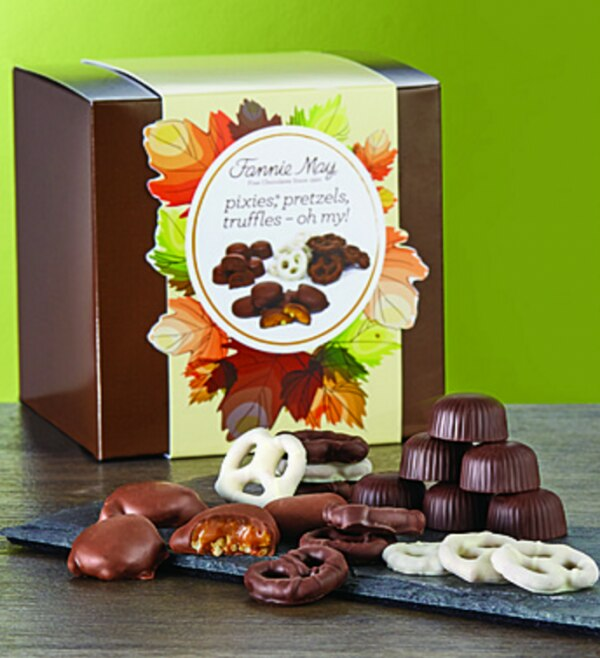 Add a dash of chocolate to any gift and it’s sure to be a hit! We’ve had our eye on this chocolate martini recipe, which would go perfectly with any of these 3-ingredient chocolate recipes! 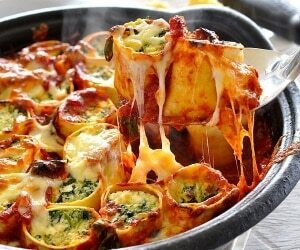 Want to show someone just how much you love having them in your life? 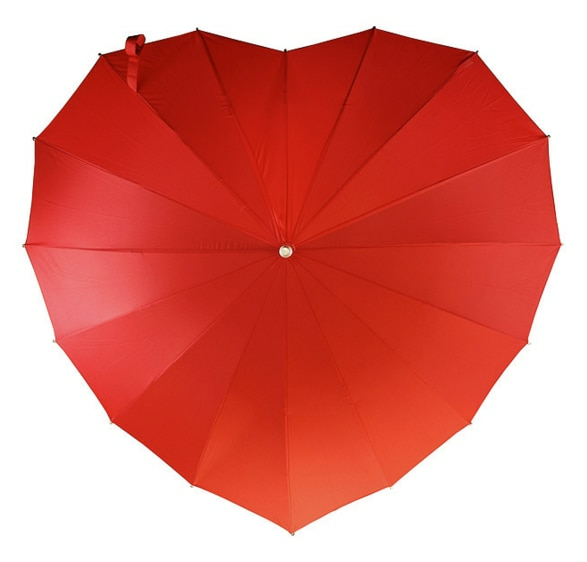 Put a smile on their face every rainy day with this vibrant red umbrella, featuring a subtle heart-shaped canopy. 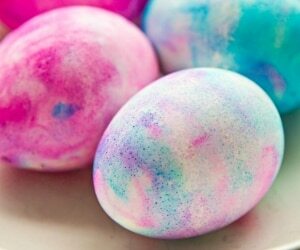 Whether picked out for a close friend, family member, or spouse, it’s a sweet way to say “I love you” on even the grayest of days. For most college students, restocking their wardrobe with new clothes isn’t an option. Although they appreciate their newfound freedom, you can still show them your love by sending a new dress, top, or sweater, like this beautiful burgundy crew neck, for Valentine’s Day. Lace adds a touch of romantic feminism, and the soft-knit blend won’t scratch their skin. Best of all, you’ll save up to 60% on this and other clearance picks from Aerie through 2/13. 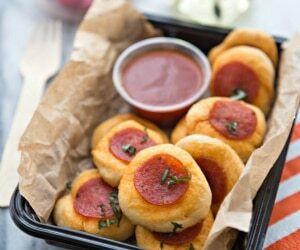 Want to ramp up the romance this Valentine’s Day? 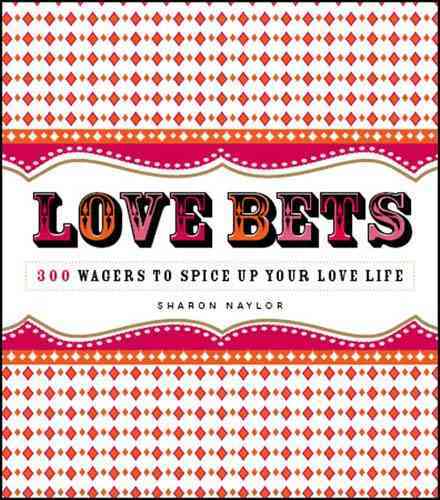 This cheeky book serves up 300 different wagers for you and your spouse to bet on — as well as suggested prizes, ranging from decadent to a little more risqué. It’s a perfect gift for the couple that loves a little friendly competition, especially when the rewards are often mutually beneficial. 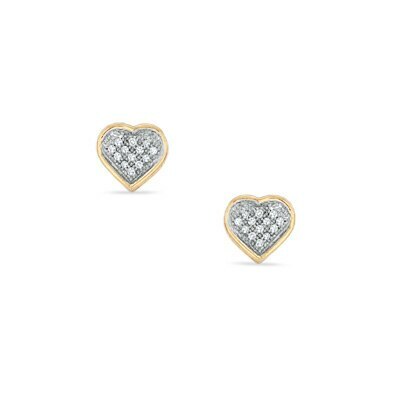 Nothing says “You make my heart smile” than a pair of 10-karat gold heart earrings. Perfect for any lady in your life — from your grandma to your daughter! — these sparkling stud earrings will complement her beauty and show her just how much you love her at the same time. 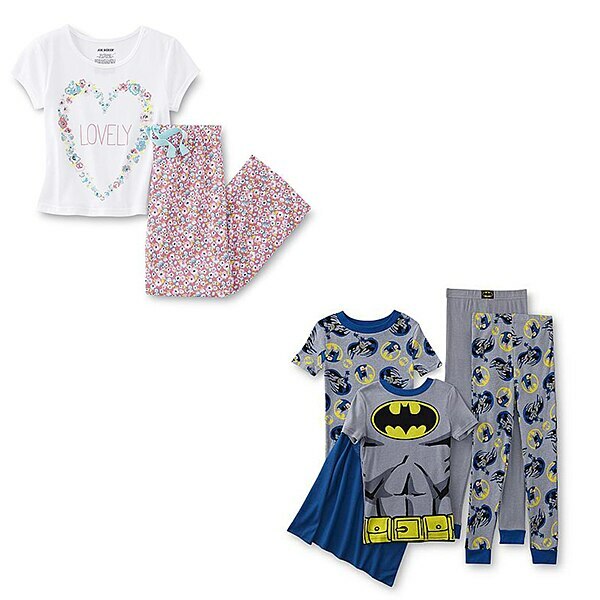 Best of all, you’ll save 30% on this and hundreds of other gifts she’ll love through 2/15. Hearts are a traditional motif for Valentine’s Day jewelry, but Kay Jewelers has shaken things up by focusing on heartbeats. From bracelets to pendants to rings, their couples-themed collection is filled with zigzag lines depicting the way your heart jumps at the sight of your one true love. A perfect example? 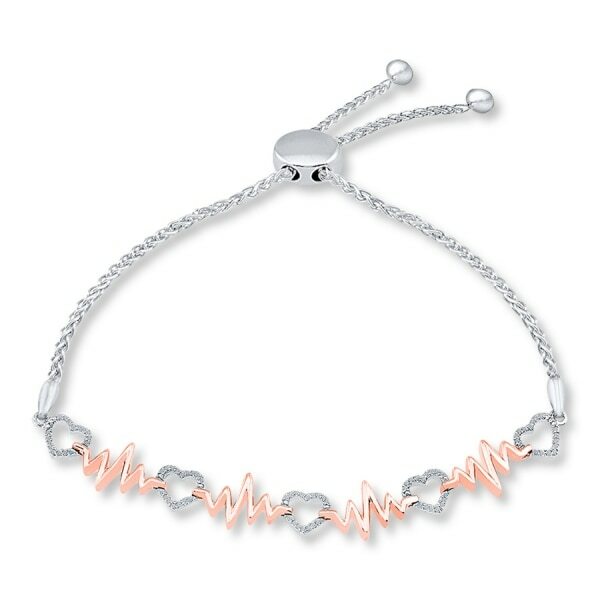 This adjustable bracelet that sparkles with petite diamonds and rose gold heartbeat lines. The Valentine’s gift that will be music to his ears? 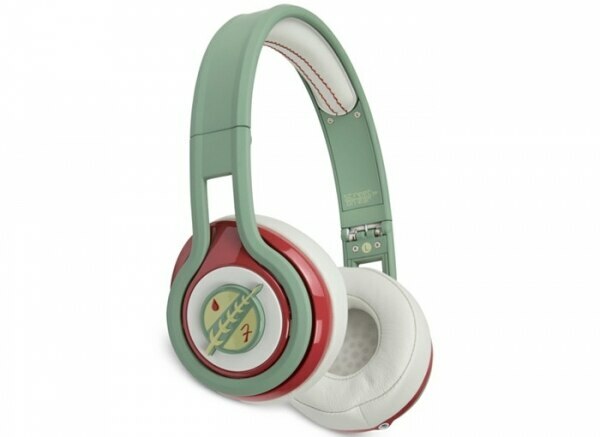 Indulging in his nerdy side by picking up a pair of Star Wars-themed headphones. Available in eight different styles so he can show his allegiance to anyone from R2-D2 to Darth Vader himself, these noise-canceling headphones are the perfect pick for any Star Wars fan. Bonus: They also come with a limited edition poster, stickers, and certificate of authenticity! Show her you truly care about her wellbeing by gifting a Fitbit wireless activity tracker. This slim bracelet lets her set goals for daily steps and calories burned, plus it also tracks active minutes and sleep quality. Her activity will sync to a dashboard where she can view her friends’ accomplishments, cheer them on, and maybe even start a fitness challenge. 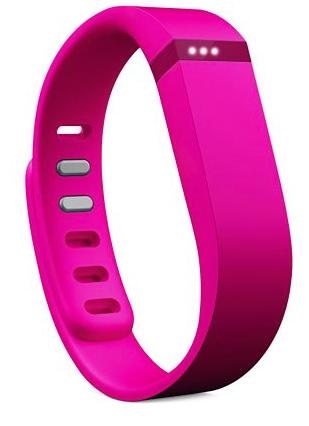 The band comes in six different colors, so guys can join in the fitness fun even if pink isn’t their favourite color. 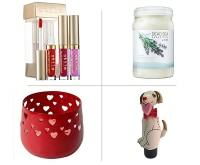 You’ll find even more great Valentine’s Day gift ideas like this in Macy’s Valentine’s Day Gift Guide. Shopping for a cynical teen? Even she won’t be able to resist the cool yet cute abstract heart pattern of this chic PVC wallet. 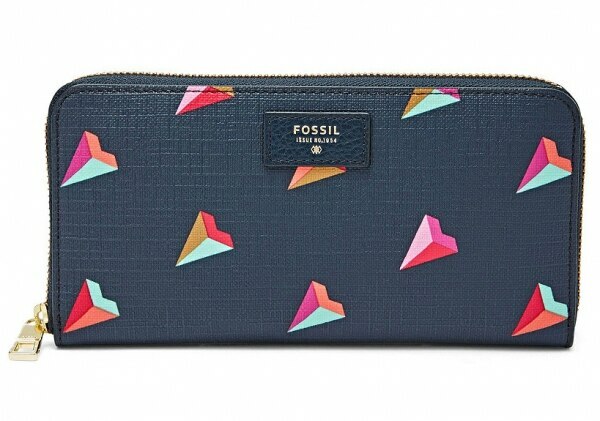 With plenty of space for her student ID, banking cards and spare change, this fun wallet is festive enough to be a token of the season, but classic enough to work all year-round. 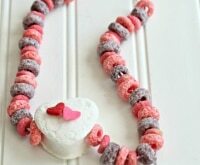 Valentine’s Day just wouldn’t be as sweet without a sugary token of appreciation. 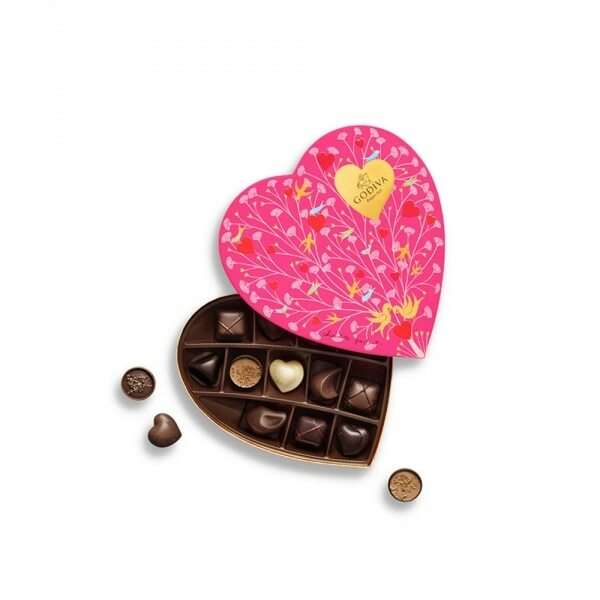 Godiva has released several new limited edition boxes filled with their delicious treats, including new Coupes d’Amour Chocolates (or cups of love). With dreamy flavor combinations like Coupe Caramel Café and Almond Praline, your loved one will almost be forgiven if they find it hard to share! Show your mom your appreciation and love with an adorably sweet heart necklace that states “mom” loud and proud. Just like your mom holds you close whenever you need her, the larger heart in this pair nestles the smaller heart closely. Best of all, this adorably sweet sterling silver necklace proclaims “mom” loud and proud. We can never show our moms enough appreciation for all they’ve done for us, but this heart-shaped necklace is sure to show our love on Valentine’s Day. 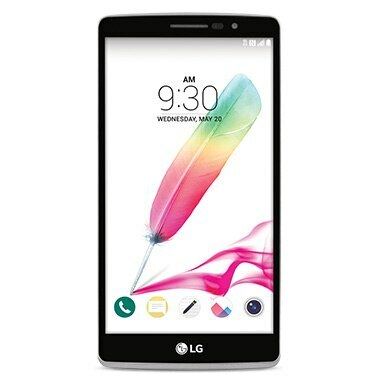 As a bonus, text “JARED” to 52733 and receive $25 off any purchase of $99 or more (Exp. 3/31). 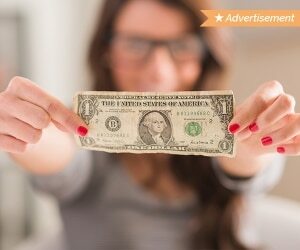 Your mom will be so proud of your savings savvy! One of the scariest parts of shopping for a Valentine’s Day gift is the possibility of going overly sentimental — especially with a fairly new relationship. 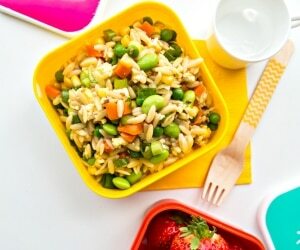 If that’s the case, opt for something practical, yet thoughtful. Is he taking on a new workout regime? Having to make frequent business overnighters? Spending extra time at your place? 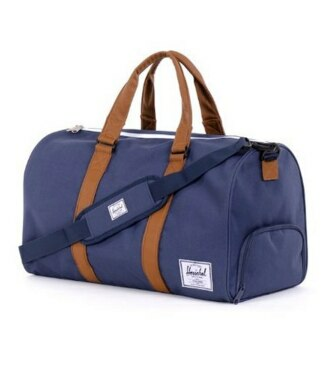 Whatever the case may be, a new duffel bag from ultra hip brand Herschel is a cool way to show you notice what’s going on in his life. 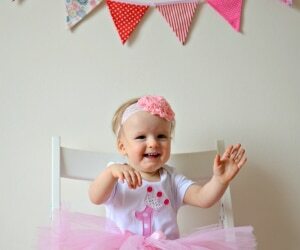 Share your love for your family with a set of customized chair covers. 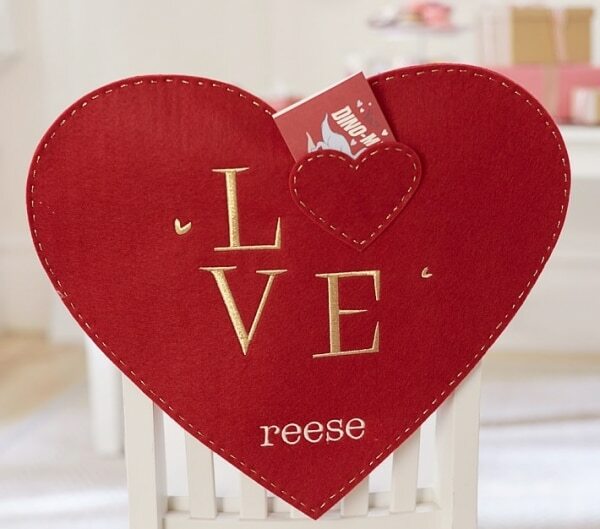 Made from felt, these sweet covers can be personalized with each family member’s name, and the little heart pocket has just enough room to share some affectionate words come February 14th. It’s the ultimate gift that truly comes from the heart. There’s nothing more relaxing than sitting down with your loved one for a good cup of tea or coffee and an even better conversation. 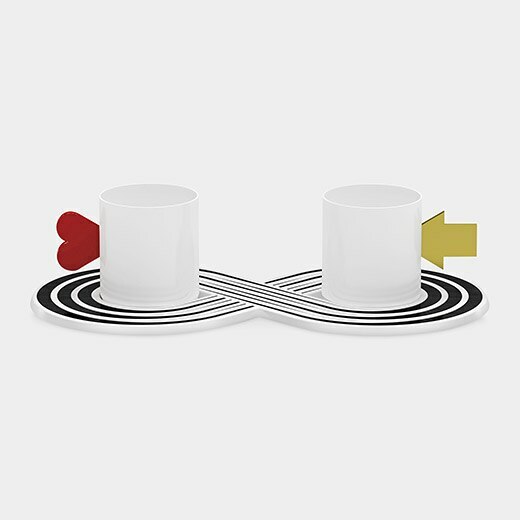 This artsy gift idea celebrates your never-ending commitment to one another while encouraging you to spend time together. 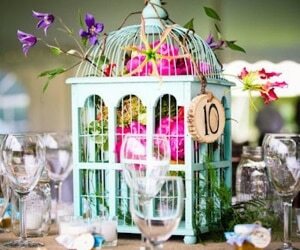 Best of all, it makes a striking centerpiece when not in use. 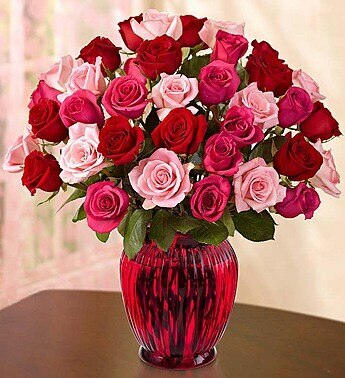 When in doubt, you really can’t go wrong with a beautiful bouquet of roses. 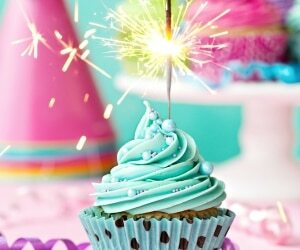 The trick to making this timeless gift feel fresh and new? 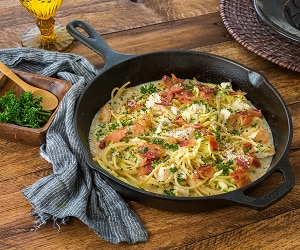 Try a different arrangement! 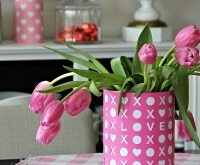 1-800-FLOWERS.com has a brilliant assortment to choose from, whether you want to switch up the hues, bouquet mixture or vase they come in. 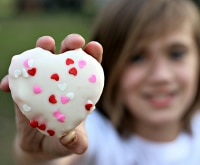 You can also add on chocolates or a plush toy to deliver the total package to your sweetheart. 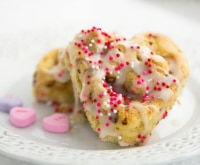 If flowers aren’t her thing why not send an oh-so huggable teddy bear along with an irresistible treat or two? 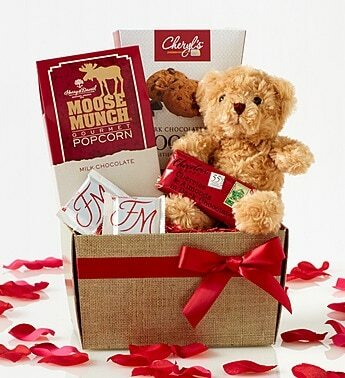 This gift basket from 1-800-BASKETS.com is packed with delectable chocolate chip cookies, chocolate-covered cherries, milk chocolates, and Moose Munch®. 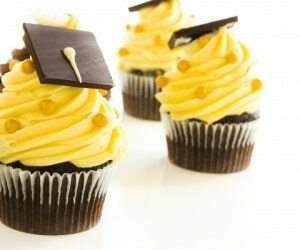 Now that’s some sweets for your sweet! Don’t leave your fur-friends out of the holiday fun! Show them some love and let kitty entertain himself by gazing out the window while curling up on this comfy and portable window seat. 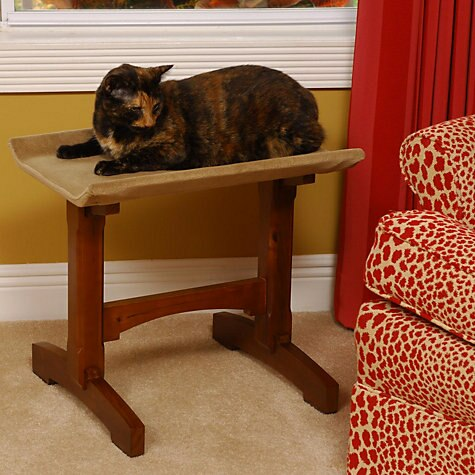 The plush pad is covered in super-soft micro-suede, making this the perfect perch for bird watching. What’s the perfect gift you can give your best friend? A warm and cozy turtleneck sweater that loudly declares just how much you love your pup. 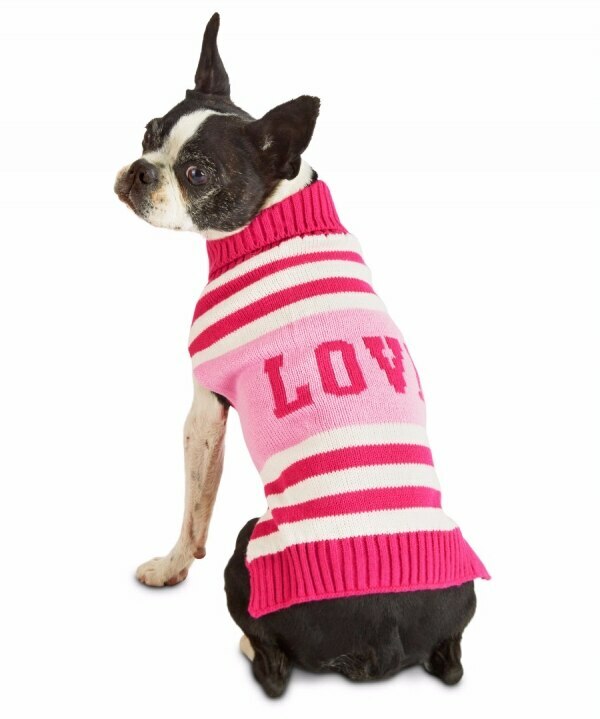 Not only will she keep warm while the weather warms up, she’ll be the best-dressed dog on the block. 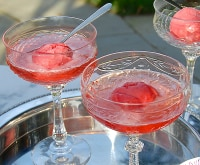 And if you’re four-legged pal isn’t one for playing dress-up, why not sweeten the deal with a treat or two? 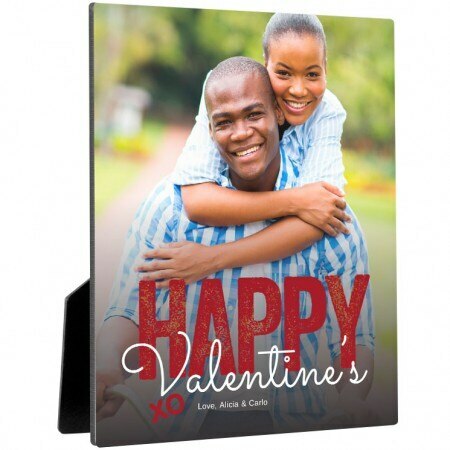 Remind your partner or family far away of your love for them with a personalized photo, complete with easel. 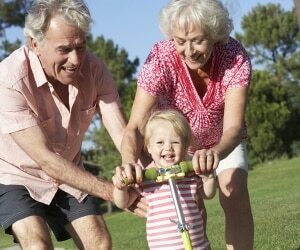 Pose for the camera and say “Cheese!” for the perfect couples photo, or let the kiddos create a fun photo collage for Grandma and Grandpa. Better yet, get the whole family in focus and snap away for memories you’ll cherish and share for years to come. 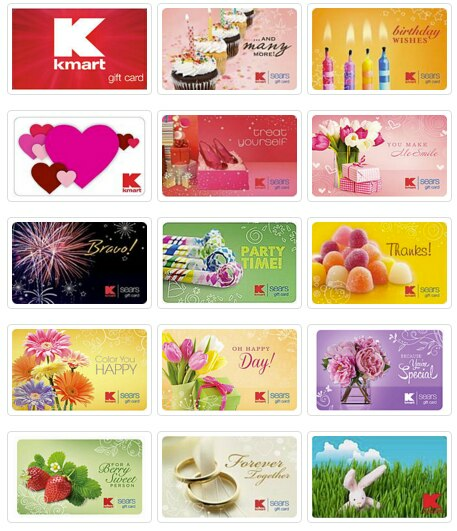 Target’s offering 25% off all Valentine’s Day photo products through 2/6, so don’t procrastinate and snap up this deal before it goes. Winter is here to stay, at least for a couple of months, so why not give the gift of warmth? These soft, down-filled vests from Uniqlo add just the right amount of extra layering to keep their core warm when the temperature drops. Best of all, they come in dozens of bright colors, so you can pick out their favorite shade or pick a neutral that will go with everything in their closet. You may also find more essential T-shirts, socks, and pants for him and her during Uniqlo’s Chinese New Year Sale. 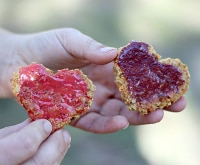 These Heart-Shaped Dog Treats Are Perfect for Your Pup!